It’s been a great weekend. I hope you all enjoyed yourselves. 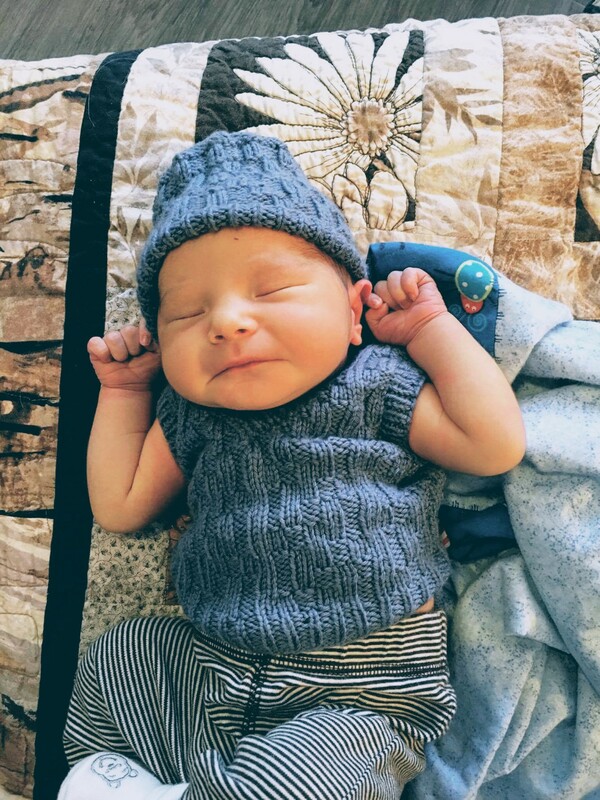 My besty had a baby boy and I couldn’t be happier! He is perfect! He’s a big fella and the 0-3 knits just fit him. In a week’s time he’ll already be too big. For now though, he can look dapper in his little vest and matching hat. He’s got other knitted goodies coming his way. So he’ll never be chilly. This weekend my husband and I went to the cabin. 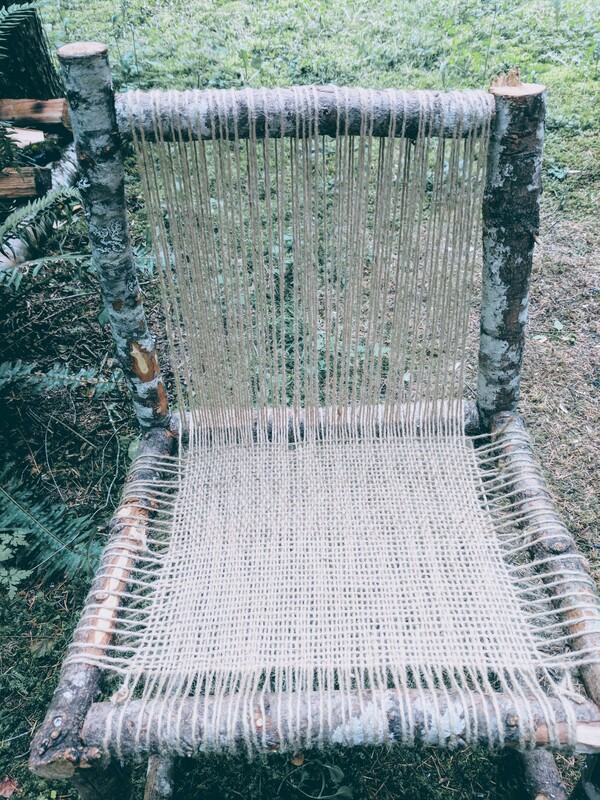 He continues to work on his bench as I make some progress in weaving the seat for our nephew. I think it’s turning out quite nice. It’s definitely sturdy. I hope it’ll last many years for the little guy.